Teleflora shares that to the Japanese, the chrysanthemum is a symbol of the sun and its orderly unfolding of petals represents perfection. Confucius once suggested they be used as an object of meditation. It’s said that a single petal of this celebrated flower placed at the bottom of a wine glass will encourage a long and healthy life. 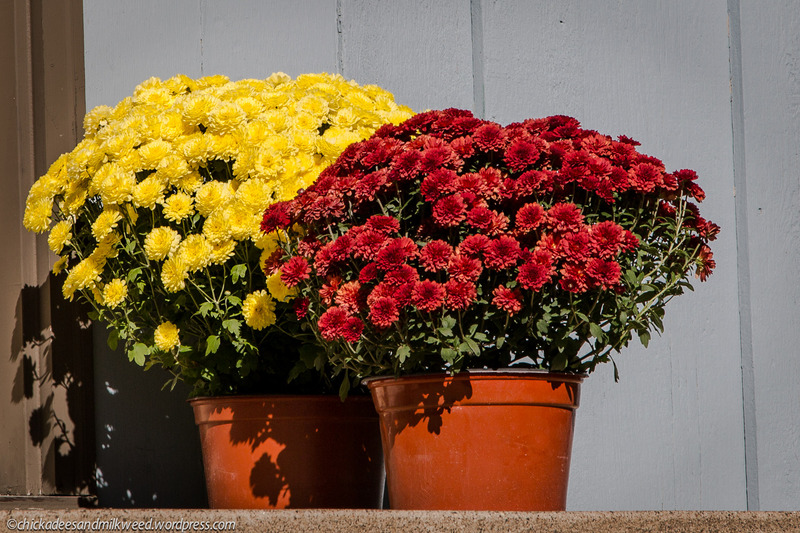 For me, the chrysanthemum is a warrior plant that fends off the eventual grays and browns of November. Hurray for chrysanthemums!